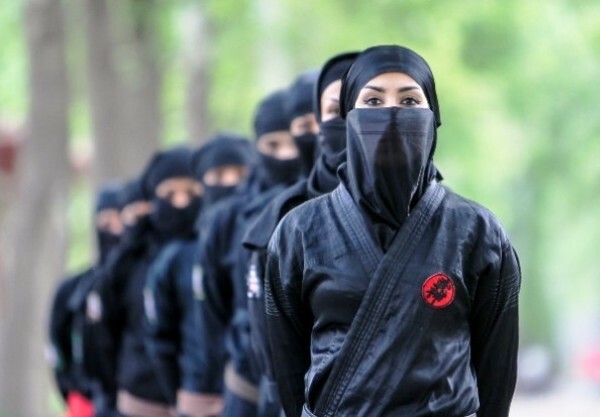 A report that helps you out more about how Iranian female Ninjas live and what they pursue. It might strike many as surprising to see a woman practicing martial arts with a dagger, sword, or other deadly weapons which only feature in martial arts movies. However, a number of girls in Tehran have good reasons to lead a Ninja-style life. The 150th issue of Tandorosti (Health) Monthly, out on 22 June, ran an interesting report about them. They are not used to sitting at desks, doing grunt work – far from it. They are much more adventurous. To them, life minus excitement is meaningless; they exude energy and that’s why they are Ninjas. In this edition of the magazine, we paid a visit to a female Ninja training center and spent an hour or so watching them in awe. If you are curious to find out more about how these apparent alien beings live and what they pursue, do not miss out on this report. We can perform any tough feat. We can climb up a wall, or we can jump over a wall in a flash. […] Speaking with enthusiasm about acrobatic and endurance feats performed by Ninjas, she went on to say: “We can perform any tough feat. We can climb up a wall, or we can jump over a wall in a flash. You might not believe, but in fact that is the way Ninjas are. We have borrowed different moves from different martial arts styles and integrated them all into one. In other words, we’ve picked the best and most thrilling moves and tried to combine them. For example, some maneuvers of wushu, kickboxing and at times karate can be seen in our style.” Ninjas learn a series of martial arts moves to perform in the right place, at the right time. […] “Anyone who wants to stand out can choose to become a Ninja. Those who have a thing for adventure and are physically capable of handling tough training, performing feats, and being competitive can take up this sport. Of course, they should not have any health-related problems. When someone meets all these requirements, all she needs to do is to get the phone number of Ninja Style Committee from the Martial Arts Federation and contact the office. They must also know that to become a Ninja, they need to have a fighting spirit and they must not be a defeatist who gets tired of training,” she said. Assuming one becomes a Ninja, is granted a black belt and shows a great deal of courage in self-defense, what is she supposed to do then? Will she view it just as a sport for the rest of her life or the story is different and Ninjas are involved in other activities? We are invited to train female police officers in military academies. A woman with no previous experience in martial arts needs five years as well as perseverance to become a Ninja.